TEN widows of World War One veterans will be flown for free by Qantas to Anzac Cove for the 100th anniversary of the Gallipoli landings, subject to medical checks. The women, who range in age from their 70s to early 90s, married the veterans long after they returned from war. In some cases, there was an age difference of more than 40-years. A Qantas spokesman said the widows would be accompanied by a carer as well as nurses, Department of Veteran Affairs staff, and an Australian Defence Force doctor. “We are honoured to be carrying war widows and their carers to Turkey so they can attend commemorative services at Gallipoli,” said Qantas Group CEO Alan Joyce. Mr Joyce also announced an additional flight for Australians travelling to Turkey for Anzac Day, departing Sydney on April 21. The Boeing 747 seats 364 passengers and will help carry those people who received a ticket in the Federal Government ballot to attend the historic Anzac Day service. Only those with an attendance pass will be able to attend the official commemorations at Anzac Cove. Federal Minister for Veterans’ Affairs Michael Ronaldson said those who missed out on a pass would have other opportunities to attend commemorative services. “Those without attendance passes for Anzac Day 2015 may consider visiting Gallipoli on August 6 for the Battle of Lone Pine commemoration service,” said Senator Ronaldson. 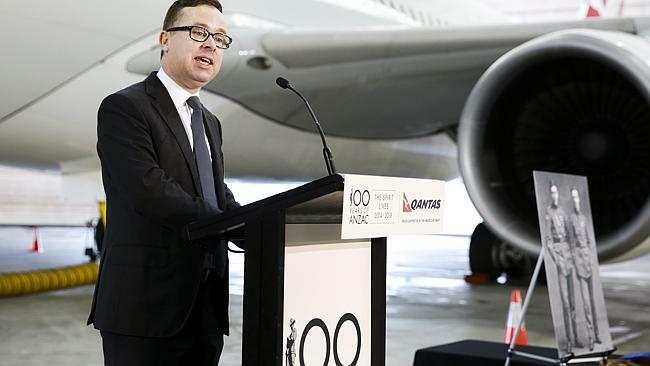 He commended Qantas for helping to carry Australians to Turkey for the historic event. “The Anzac Centenary is a milestone of special significance to all Australians as the First World War played such an important role in defining us as nation and as a people,” Senator Ronaldson said.